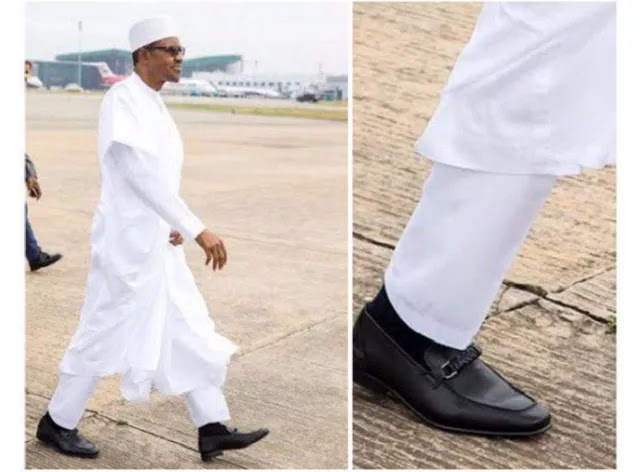 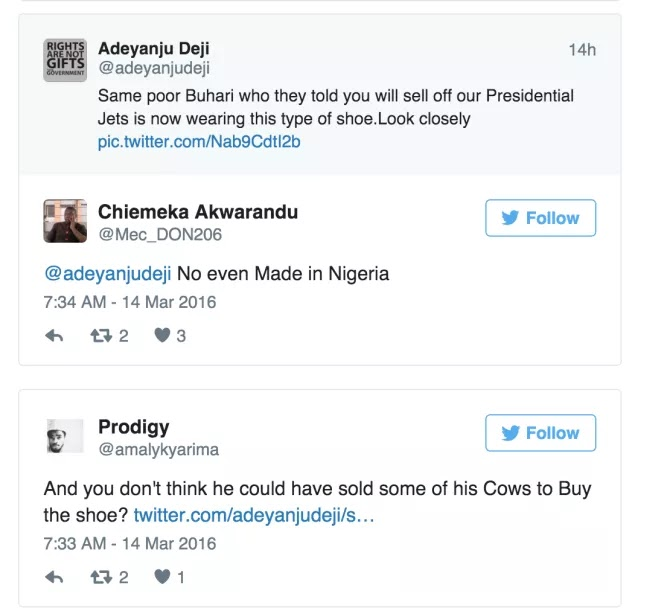 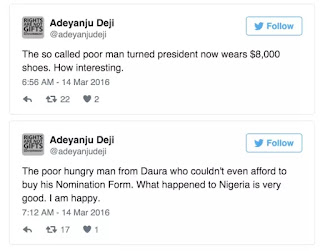 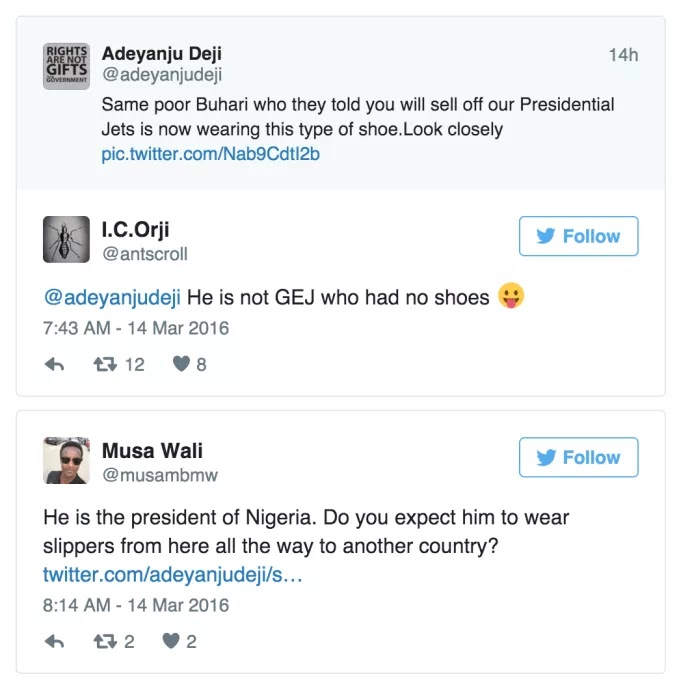 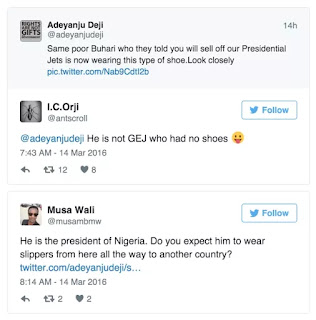 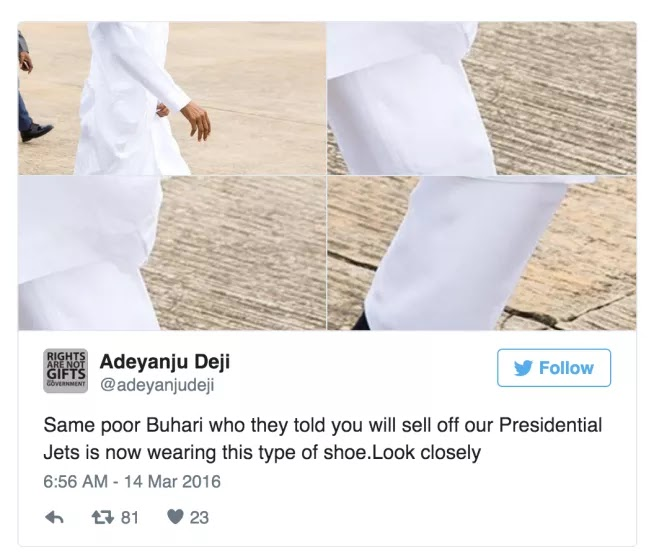 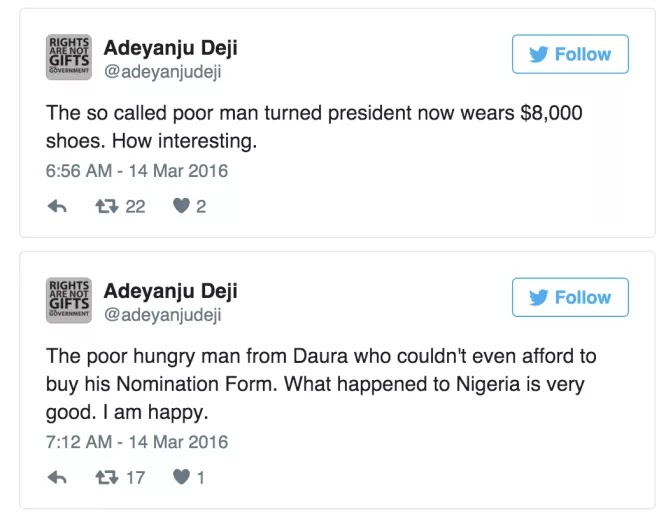 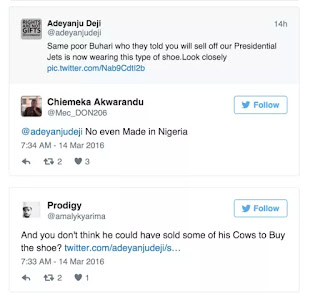 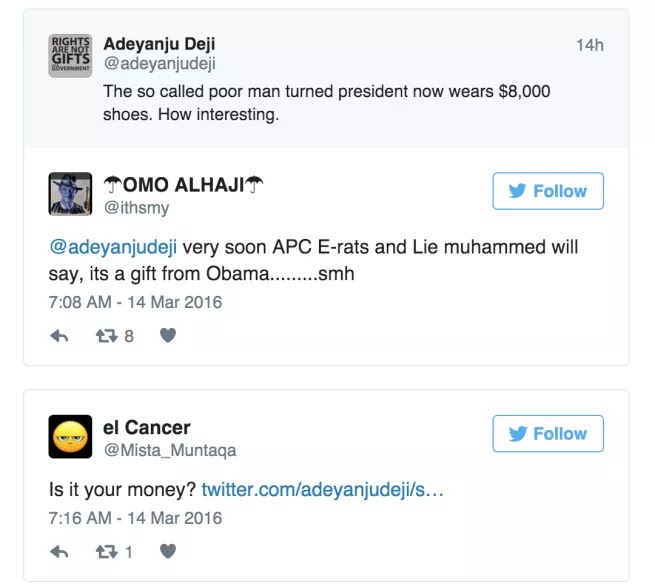 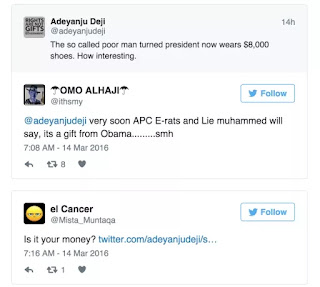 media, Deji Adeyanju, has alleged that the pair of shoes worn by President Muhammadu Buhari to Equatoria Guinea on March 14, costs $8,000 (about N2,592,000). 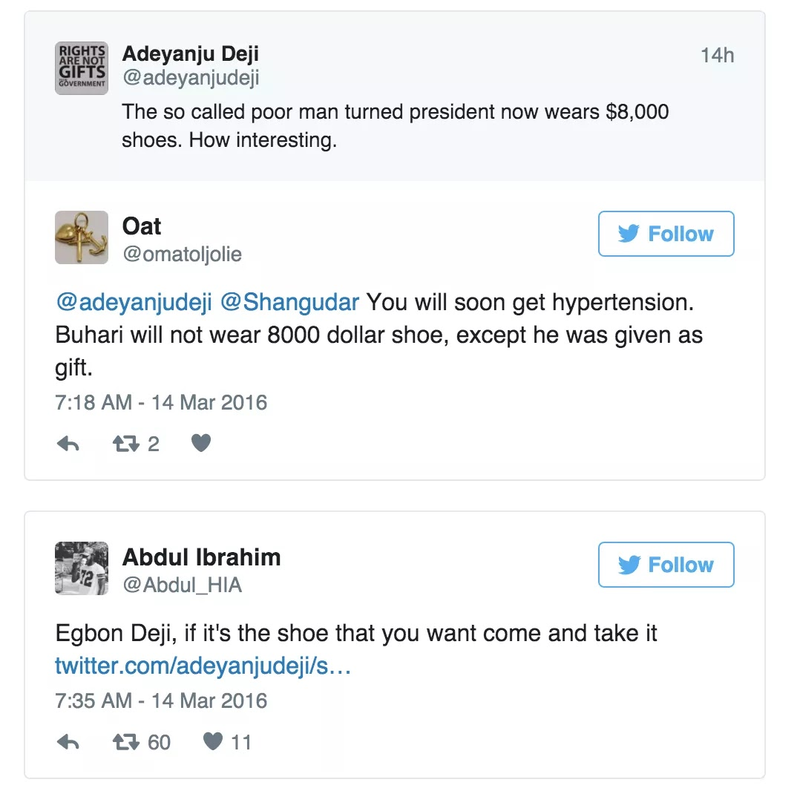 The PDP man who is well known for his strict criticism of the ruling All Progressives Congress (APC), especially the president, noted in a series of tweets, that the president now wears such an expensive pair of shoes after saying that he was initially poor. 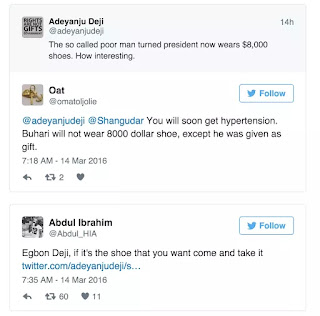 expensive shoe unless perhaps, if he got it as a gift.